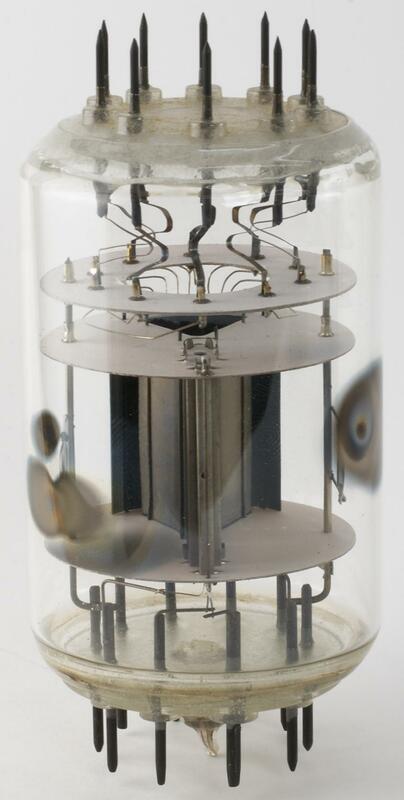 This tube is quite similar to the National Union LBS-1, an electrostatic deflection beam switch tube intended for high-speed commutation of a single electron beam source to a multianode target. The beam switching is proportional to the electrostatic deflection and thus permits analog to digital translation. 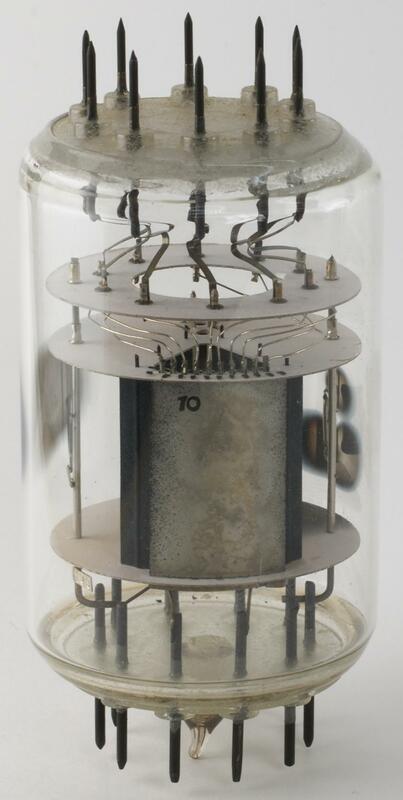 Ten separate output anodes are provided. Hauteur • Height • Höhe : 105 mm • 4 1/10"